There appears to be some consolidation in the freelance services market, and it may be picking up. AND CO, a SaaS platform and app for independent creatives, was bought by Fiverr, the largest freelance services marketplace in the world. From brand purpose to artificial intelligence and everything in between, here are the top themes to watch for in 2018. These 7 end-of-year calculations will reveal powerful insights when it comes to the state of your freelance business. Get ahead of 2018 goal-setting with these actionable resolutions for self-employed professionals. Women@Forbes contributor Alexandra Dickinson shares tried-and-true tips for freelance negotiation. Recapping the inspirational stories of the independent creatives featured in AND CO's new short film, "SOLO NYC." Brooklyn-based HR technology startup announces its seed funding round with backing from Daphni, Tectonic Capital, Precursor, and notable angel investors. Sharing top lessons from AND CO's recently published book, "Hacking Independence," which applies growth hacking strategies to building a freelance business. Read in DesignTaxi (for AND CO). Here are the simple mistakes you might be making with respect to your freelance contracts. Butterfly CEO David Mendlewicz discusses how chatbots will give way to more frictionless human interactions. 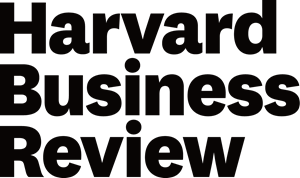 HBR shares the tools and tactics to help your freelance business run more smoothly. HuffPo contributor Laura Emily Dunn profiles Claudia Page, VP of Platform and Partner Product at Dailymotion. Kelly Liyakasa sits down with Dailymotion Chief Ad Tech Officer Bichoi Bastha to explore how the video discovery platform has evolved.